Pitiful Reign started out in mid/late 2003 under the name of Metalegion, originally as a three piece, made up of three friends from school. The line up was Josh Callis-Smith on guitar, Tom Small on drums and Andy Napierksi on vocals and bass. The band began writing their own material and spent several months perfecting and improving it. Eventually they had written enough original material to play a full set and were ready to play their first gig, which took place at White Room, Hull on the 29th April 2004. They were supporting Metal core duo Isor, from Cheshire, and the band played to large and enthusiastic audience. After playing a handful of gigs in the local Hull area, Andy left Pitiful Reign and the band found themselves without a singer and bass player. Josh took on the role of front man and lead guitar and after auditioning several bass players Matt Walker joined. After that the band seemed to be in full throttle again as old songs were shelved or improved, and new songs were written helping to push the band to a new level of performance. Finally after a long wait the final piece to the puzzle was set as Tom Britton joined the band on lead guitar leaving Josh to concentrate on guitar and his role as vocalist. 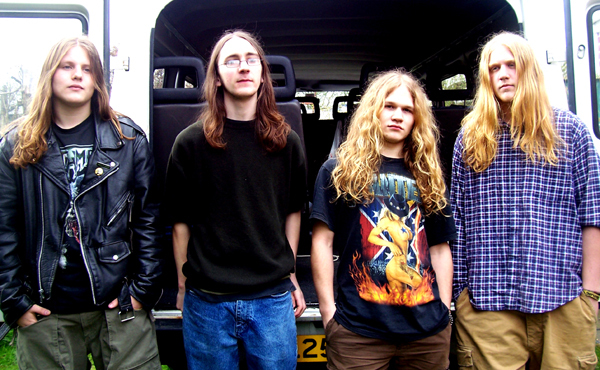 The summer of 2005 saw the band; now with its established line up, go into the studio for the first time to record their 4-track demo, 24 Litre Killer, which was well received. This coincided with an extensive 2-month tour of the UK with Headless Cross and Chokehold, and culminated with Pitiful Reign’s appearance at the DOMINION festival at the beginning of October. 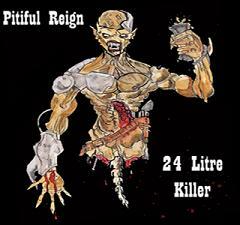 2005 was an exceptionally good year for Pitiful Reign, the highlights being the band having the opportunity to play alongside some high profile bands in the UK metal scene, and even some from Europe. Bands that have included Fourway Kill, Intense, Infobia, Humanity, Conquest of Steel, Warchild and Deliverance to name a few. 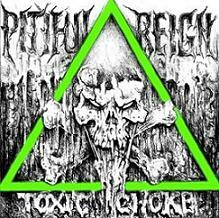 These support slots have enabled Pitiful Reign to raise their game, and learn from the professionals, constantly improving their stage techniques and song writing abilities. 2006 will see the band go from strength to strength, with another UK tour being planned for the spring and their first ever date in Europe, playing in Italy in February, followed closely by some dates in Germany. The band has continued to write their own material, and is preparing to record their second CD, with Infobia’s Alan Pashby as producer. With this amount of progress in their first full year together, and their undoubted potential, Pitiful Reign will be a band to watch for in the future.